15 years later after one major database crash that forced a reset of everything, a transition from Ultimate Bulletin Board software to vBulletin, a change of hosting services, a few server moves, numerous "entertaining" server outages and other fun challenges, here we are. Created as a resource by friends for friends this website has seen its share of happy times (couples met here and married , birth announcements were made , etc) and sad times (friends lost too soon ). I still have the same Jeep as when I started this site (I've had it ~25 years now in fact), but over these 15 years I moved from Gunbarrel to Firestone to the in-laws in Castle Rock to a motel in the foothills (1 month test drive of mtn living) to an apartment in Broomfield to an RV on a raw plot of land for 9 months while we built our current home on the same plot of land. Along the way I got married, created a family (two kiddos, Alyssa and Austin) and built a house (no, still not finished). I'm not a web geek but I learned quite a bit about creating a maintaining a site like this. It hasn't been perfect and certainly frustrating at times, but the hours were always worth it. I've met countless friendly faces from this website who I couldn't hope to name all. Hopefully you gained something positive from this 15 year experiment as well. Cheers to 15 years! Thank you to all of the volunteers who helped me keep this site online and to all of the members who made this little corner of the internet something special. Thank you!!! Thanks for putting in the effort. Of those 15 years, I wonder how much time I've spent here. A considerable sum to be sure. Thanks for all the work and effort. Here's to the first 15! I started with nothing, and I've got most of it left. Thanks Eric. I have made a lot of friends here and enjoyed a lot of wheeling because of this site. Met a lot of great people from this site! Thanks Eric, I think it says a lot that so many of us that don't have an off-road capable vehicle any longer still hang around. Thanks, Eric, for my home away from home. Funny, I don't remember being absent-minded. I can echo what the other have said! Whether it's the off-roading community in general or simply the caliber of people who find this place their "Cheers", I met so many great people on this site. Many of us identify with other activities in life than just off-roading and this place delivers!! There's no mistaken sense of family here. :beer"
DON'T BELIEVE EVERYTHING YOU THINK! I've met lots of great folks, met for lots of trail runs, bought and sold things, and learned a ton about jeeps. If it weren't for bad luck, I'd have none at all. Thanks for everything you do Eric!! 2005 GMC Yukon SLT - pounds pavement good! Thanks for giving us a place to hang out. jeez, I'm number 6858. I got my first jeep 3 months after you registered. tummy-tucked 2005 LJ rubi softtop on 1"BL/MML(for TT),3.5" SA, 35x12.5-15. I say some stupid sh!t here. Thank Eric.. Iv meet so many friend from this site. Iv lost so many friend from this site..
Storys from the original fringe shall never die...(until the pics get lost )! 2 OF THE VOICES IN MY HEAD SAY THE WORLD IS A BEAUTIFUL PLACE. THE THIRD KEEPS YELLING PULL THE TRIGGER. EVERY TIME YOU KEEP YOURE MOUTH SHUT SO YOU DONT OFFEND SOMEONE YOU LOSE A LITTLE PEACE OF YOURE 1ST AMENDMENT RIGHTS !!!!! Best dang site on the Internet!!!!! Burleson Tx, Where the Honey's have lotsa Miilk! Thank you for a wonderful 15 years! Thanks for a great run, Eric. I hope it continues for a long time. I was here before the big crash and I remember the big celebration when we got to 500 members. I miss some of the old-timers that have moved on. There was a time when I could read every post on every board every day. I don't post as much as I used to but I still lurk here often. Nothin' fancy, just plain ol' me. TJ. "Homegrown" 4-link front and rear, D44's, 4.56 gears, locked, 35's, 9500i winch, front cage with stinger (& gunsight!). / ATC: AAL2341, for noise abatement turn right 45 Degrees. Pilot: We are at 35,000 feet. How much noise can we make up here? ATC: Have you ever heard the noise a 747 makes when it hits a 727? Thanks for keeping this thing on the rails, Eric! Making progress on the big build. Congratulations and thank you. I joined in 2002 and made several friends on this board over the year. 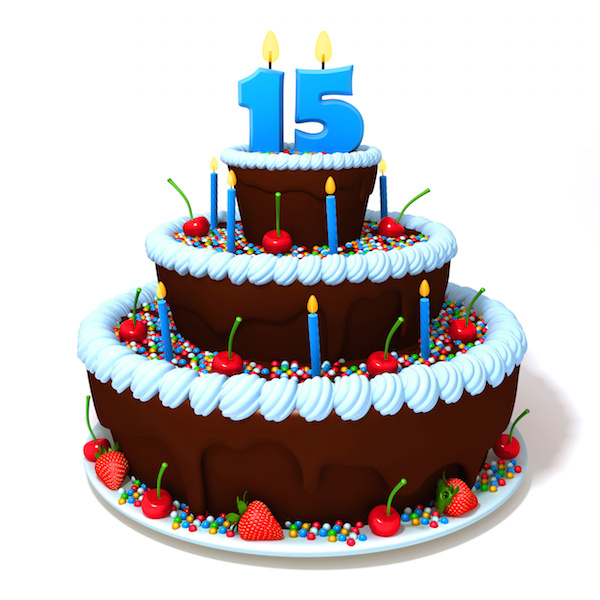 15 years is a long run in the tech world! Thanks for keeping it going! Amazing how many low-number people are still hanging around too. A testament to how awesome this place is! Yeah, all you plebs with triple and quadruple digit member numbers keep mucking up the place! Thanks Eric. I know you don't do it for the money. I got here as fast as I could. or how amazingly pathetic we are.